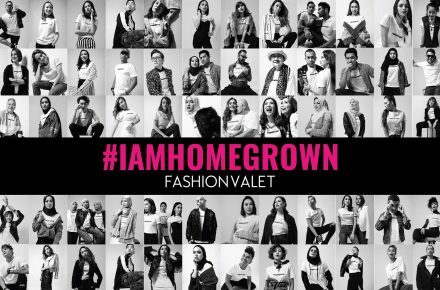 Here’s all you need to know from Day 1, including shows from Fashionvalet, Alia Bastamam, Mimpikita and more. 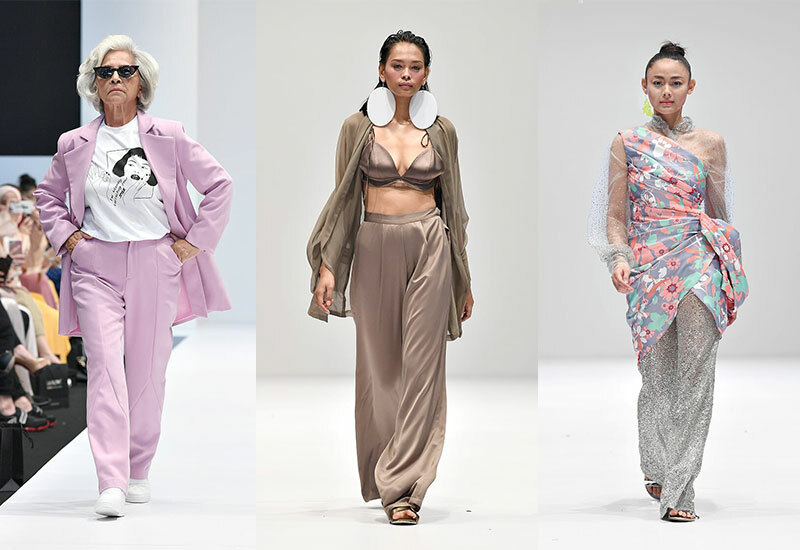 A few of our favourite looks from Day 1: (from left) Min Luna X Fashionvalet, Alia Bastamam, Mimpikita. 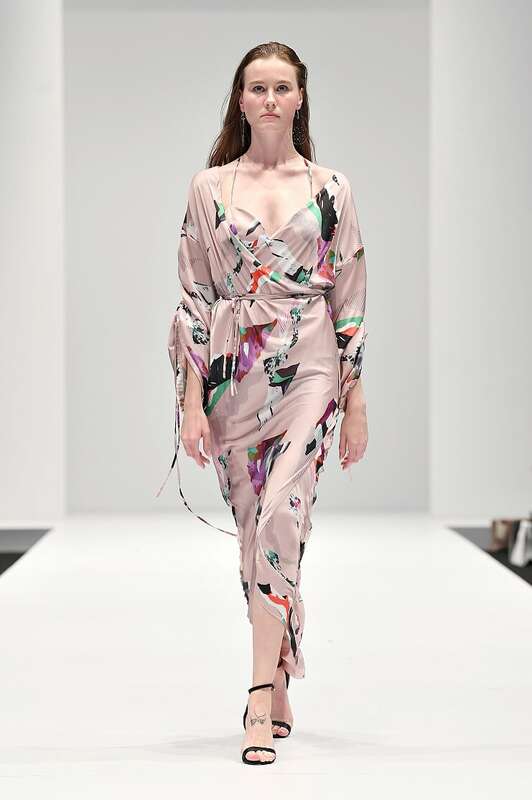 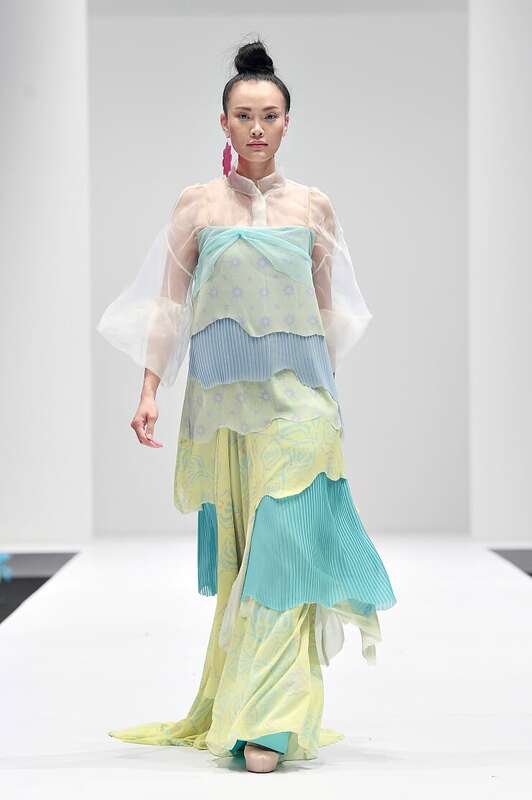 The sixth installation of Kuala Lumpur Fashion Week came to a close yesterday after five days of oohs and aahs. 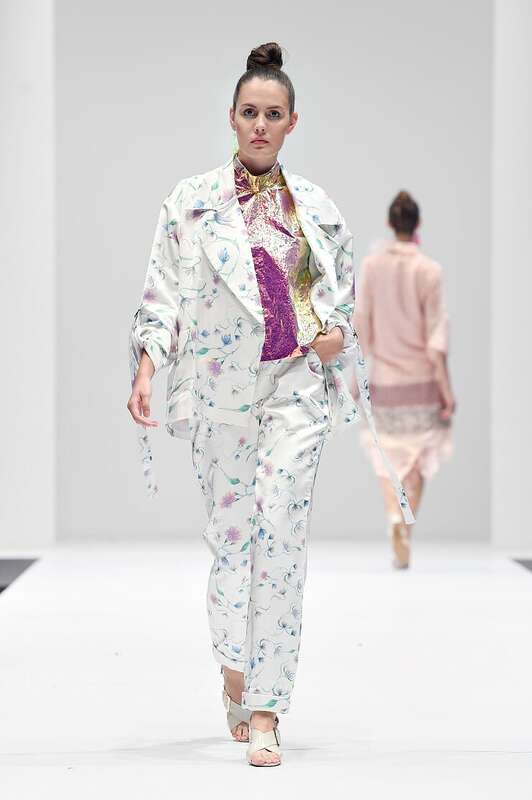 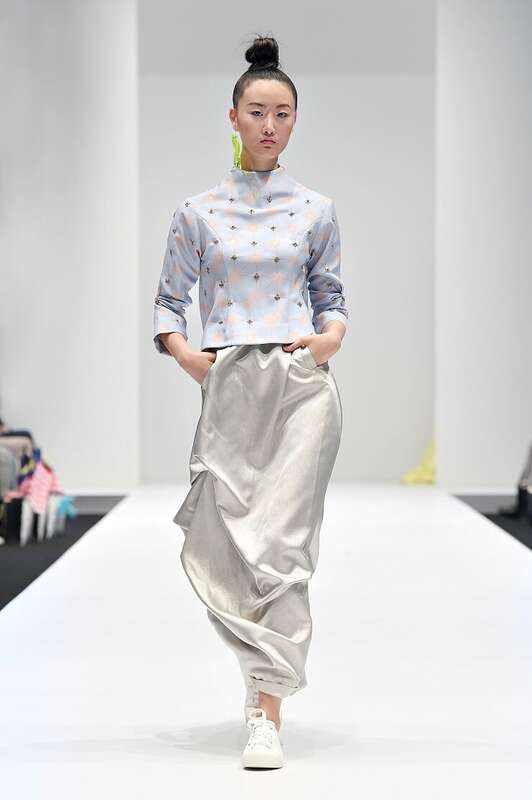 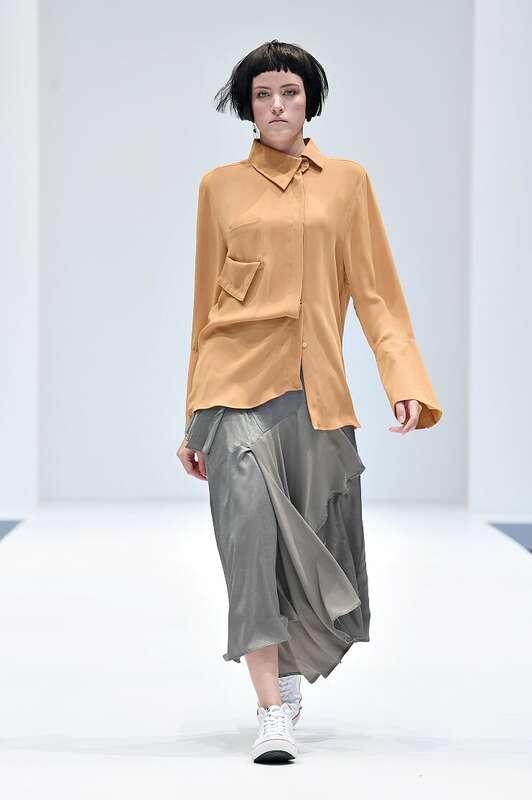 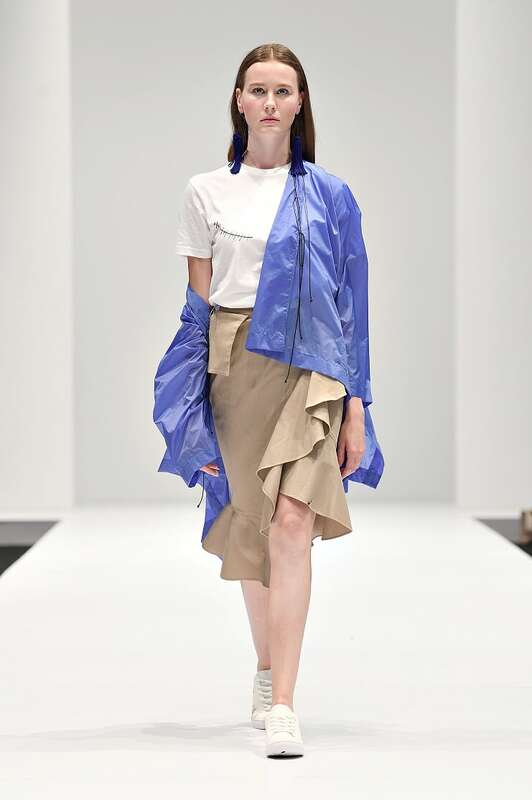 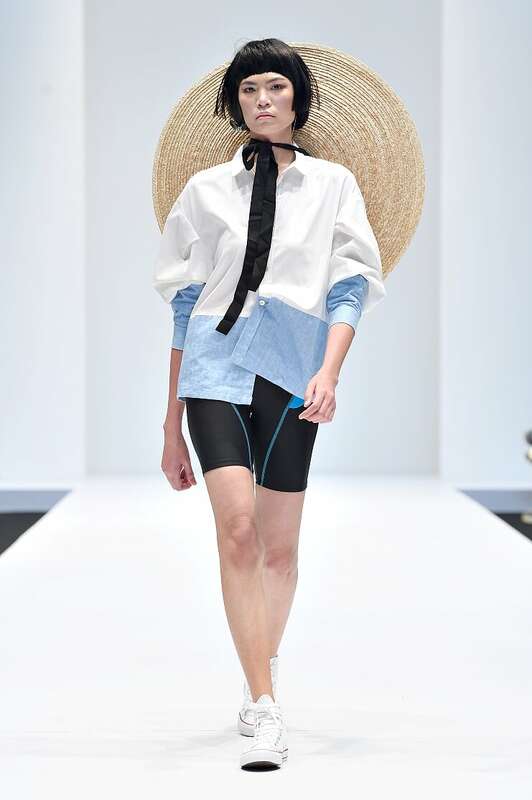 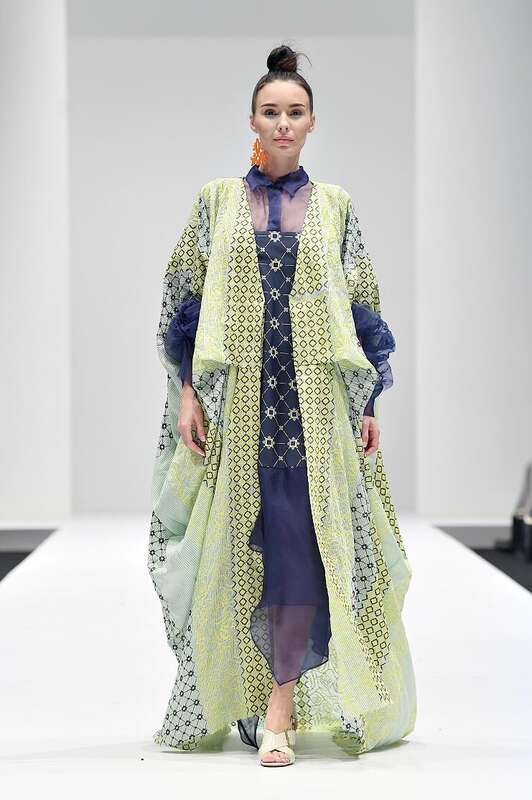 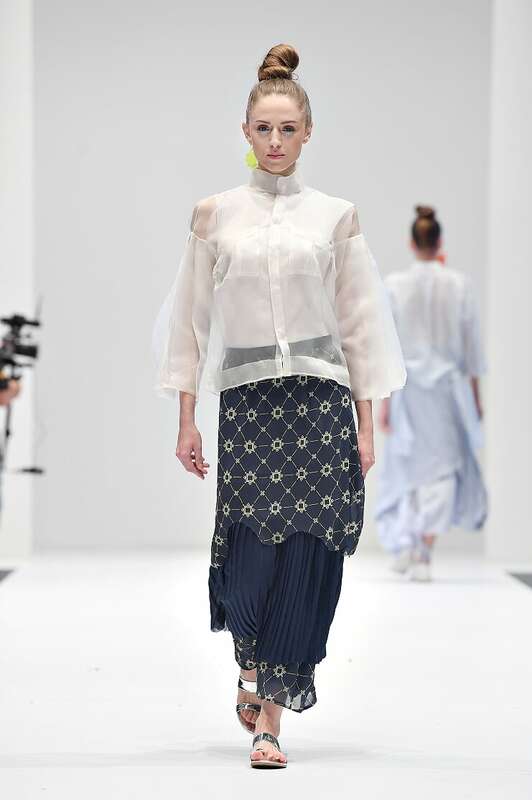 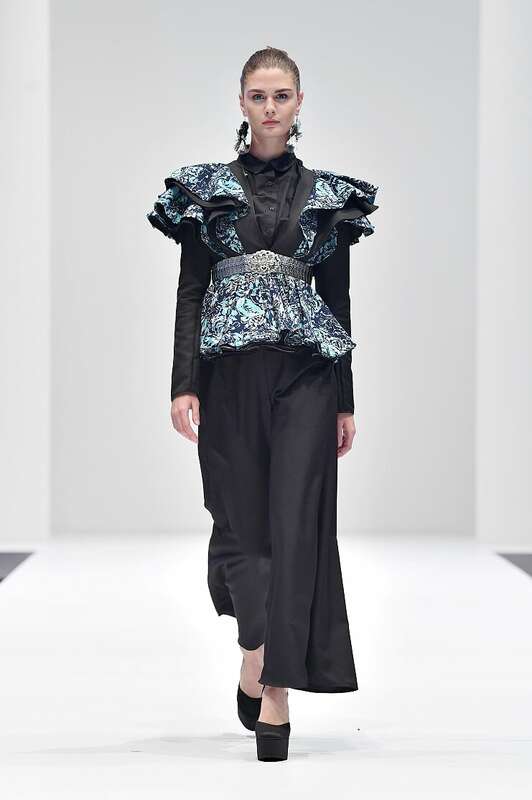 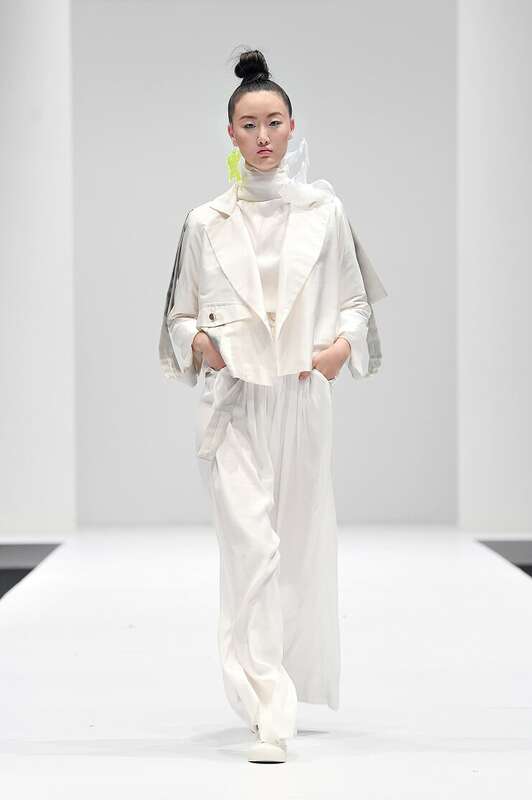 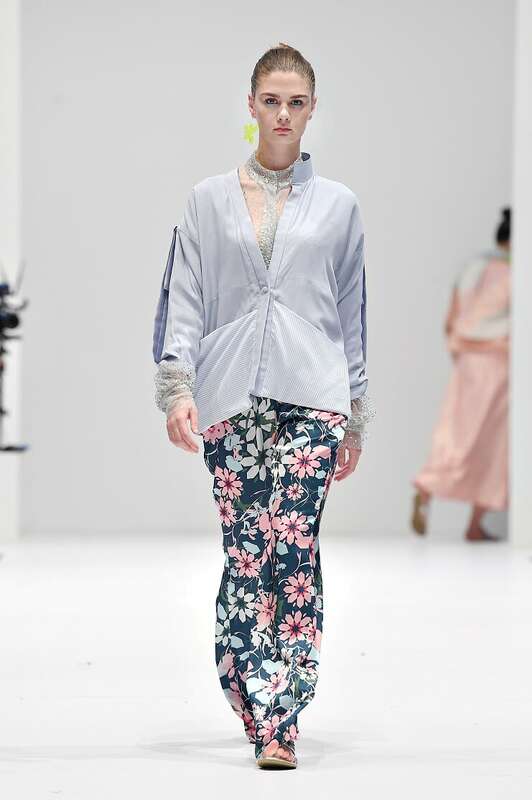 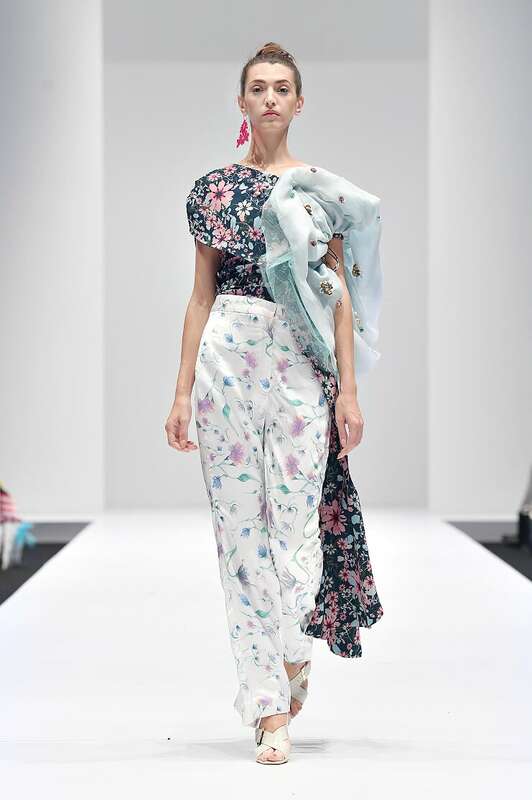 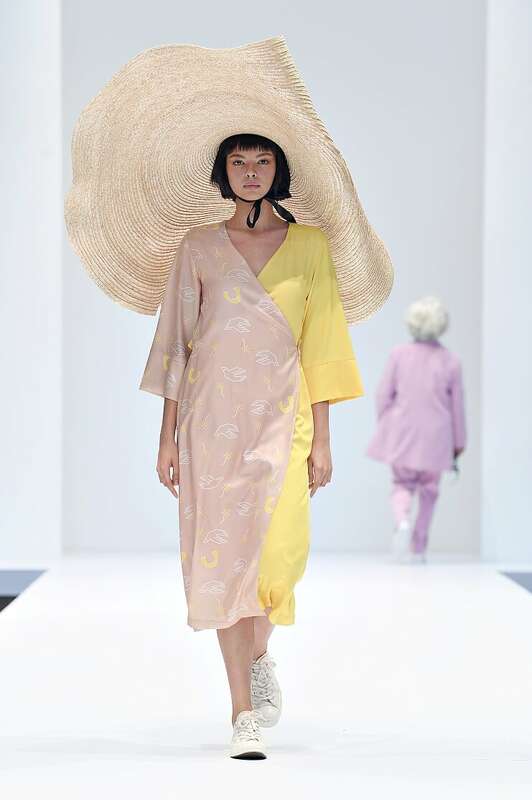 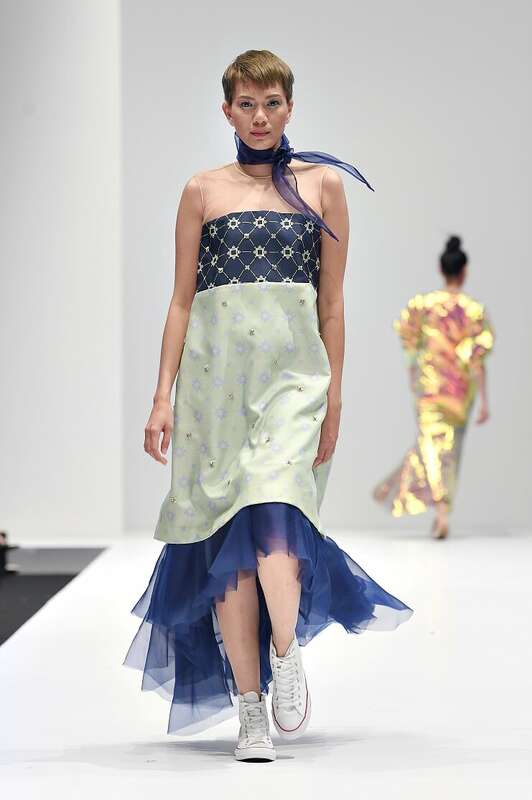 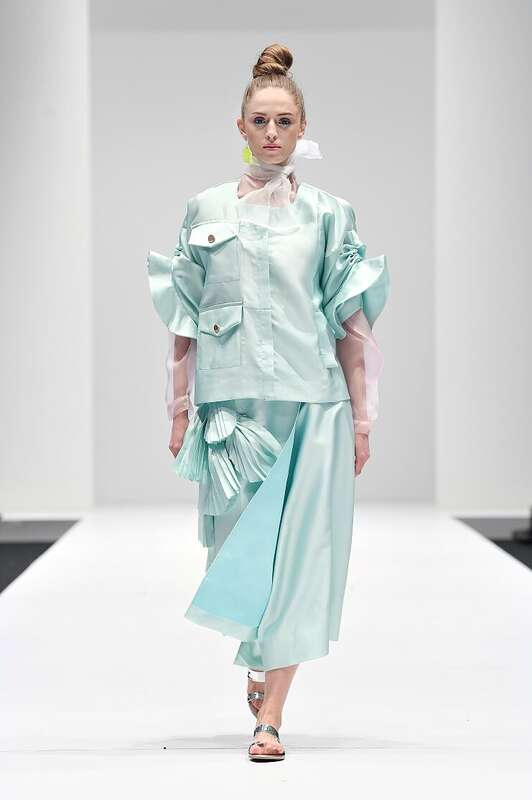 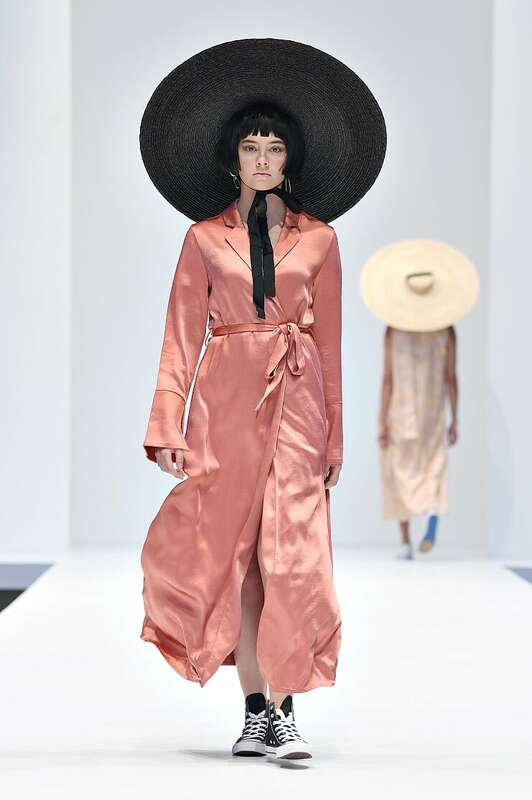 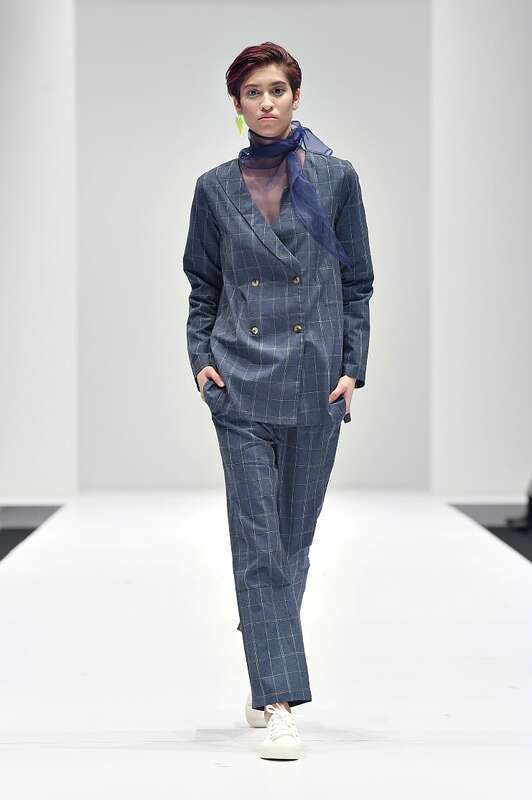 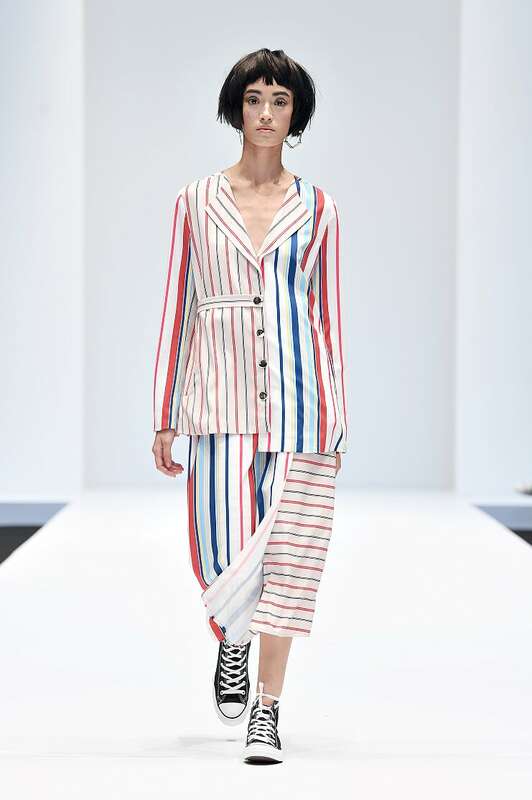 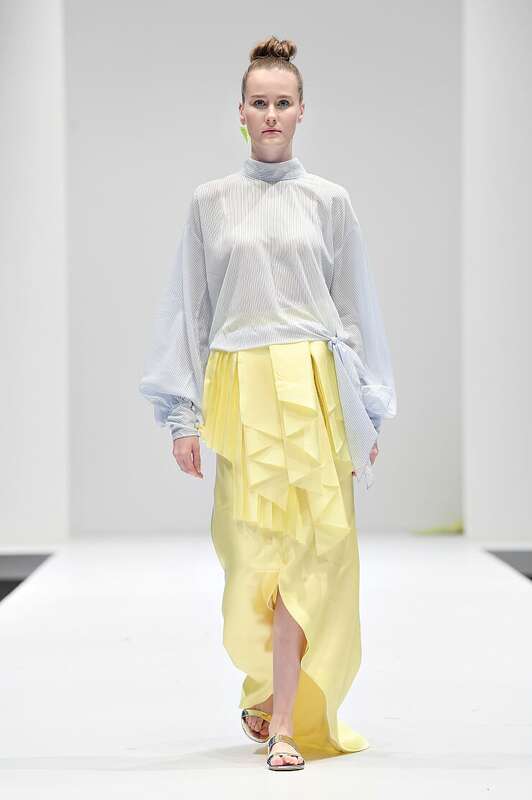 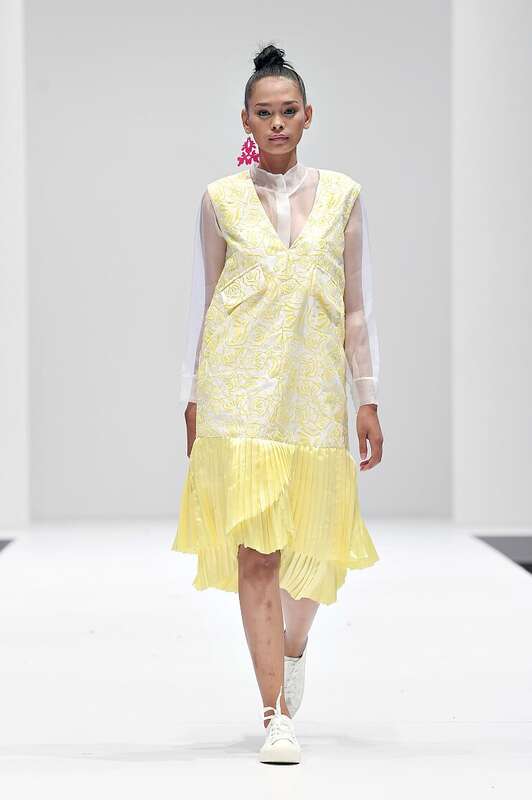 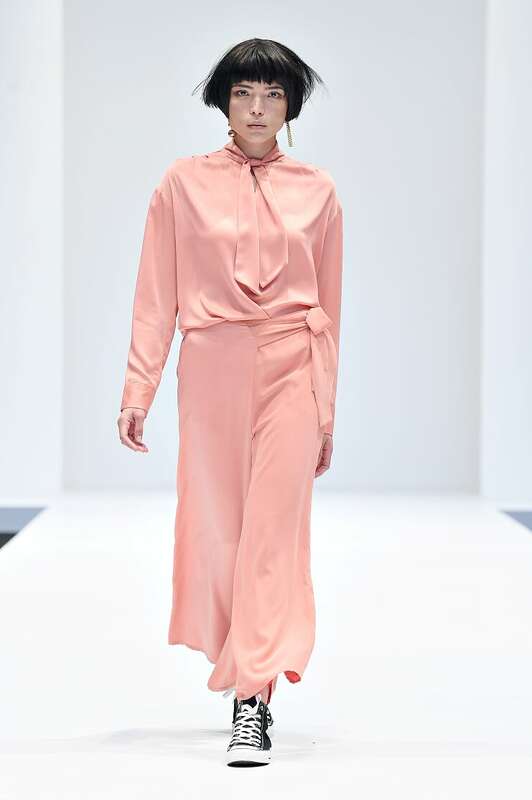 Top local designers and emerging names alike graced the runways at Pavilion Kuala Lumpur to showcase their respective ready-to-wear collections, underscoring the diverse and progressive fashion scene in Malaysia. 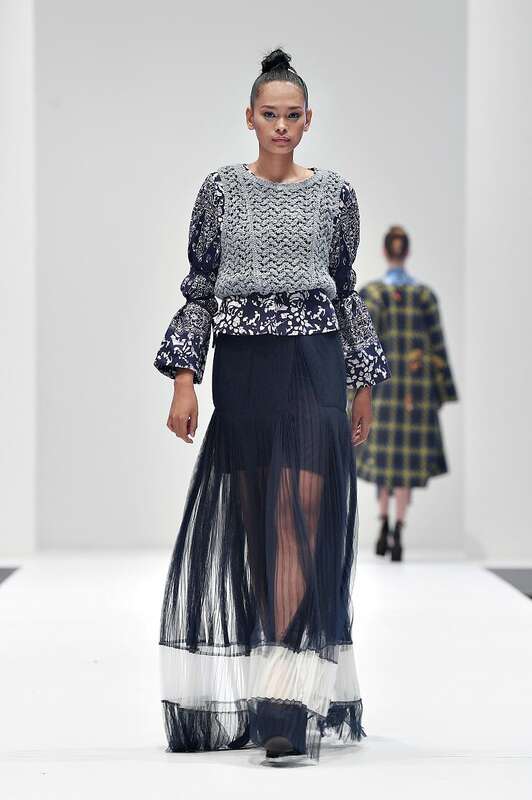 Fret not if you’ve missed out on the action, as we’ll bring you the highlights of the largest fashion event in the country. 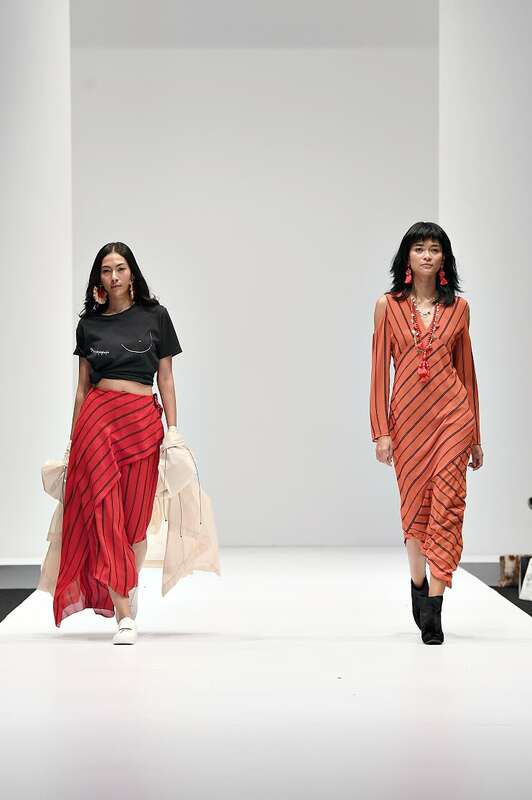 Here’s all you need to know from Day 1, including shows from Fashionvalet, Alia Bastamam, Mimpikita and more. 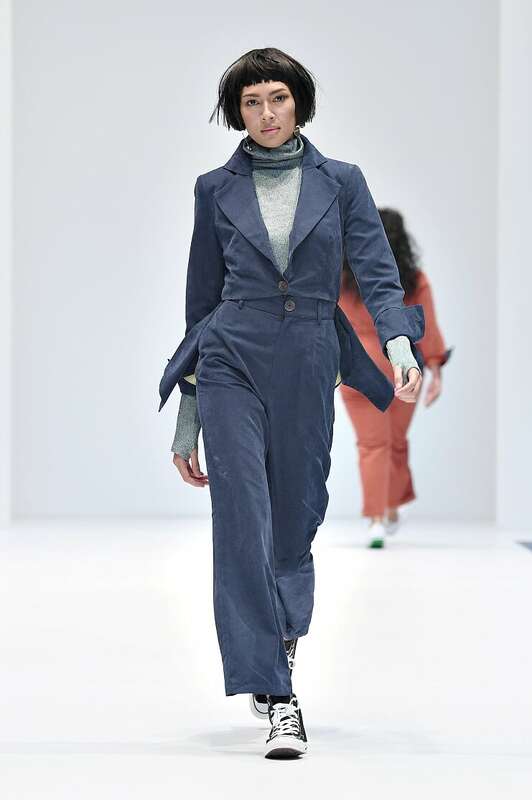 Nalisa Alia Amin was the first down the runway, proudly showing off her curves in a utilitarian jumpsuit. 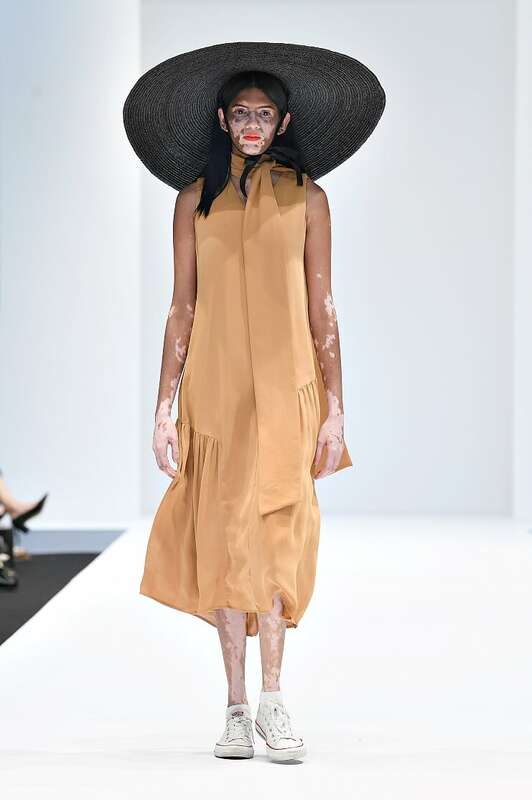 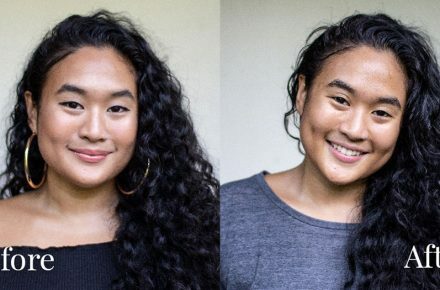 Vitiligo won't stop model Sonya Charles from making an appearance on the runways of KLFW. 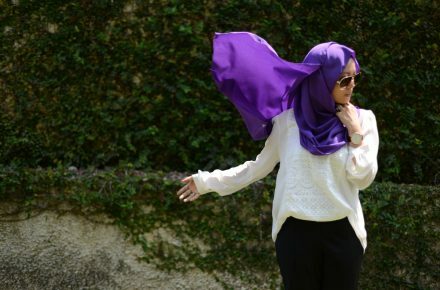 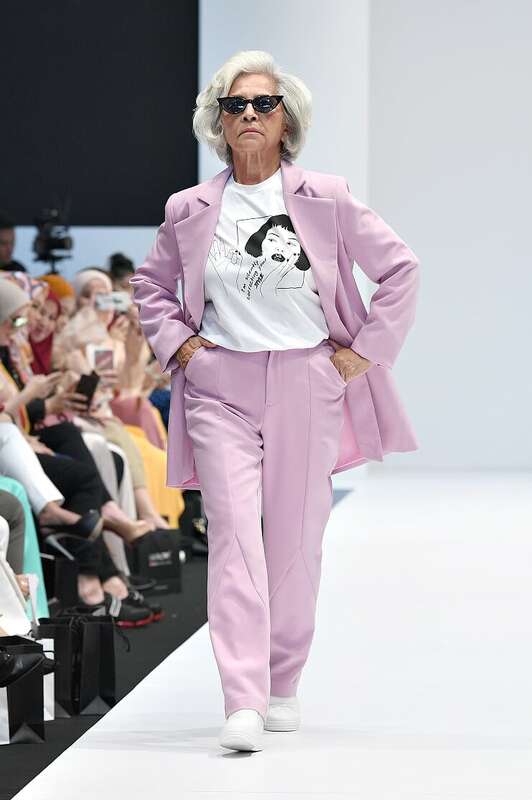 Actress Sherry Aljeffri owned this lilac suit and pants getup - proof that age is just a number! 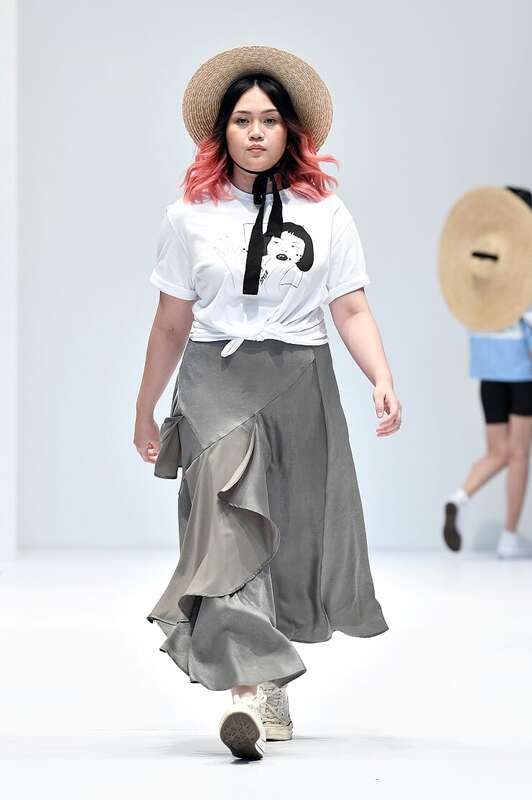 Starting off KLFW 2018 on a high was celebrity stylist Min Luna’s first ever clothing line in collaboration with Fashionvalet. 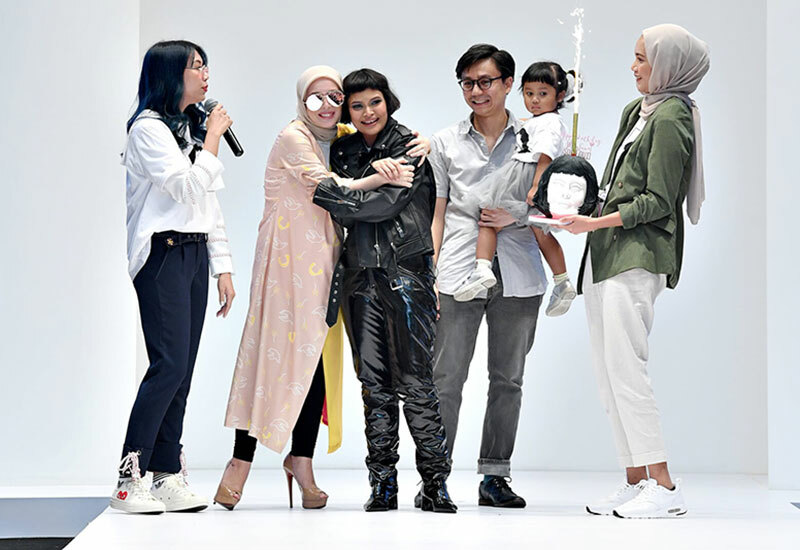 The name responsible for Scha Alyahya and Neelofa’s trendsetting looks created an equally attention-grabbing collection dubbed Not Fragile – a feministic illustration of all the bold, powerful and independent women out there. 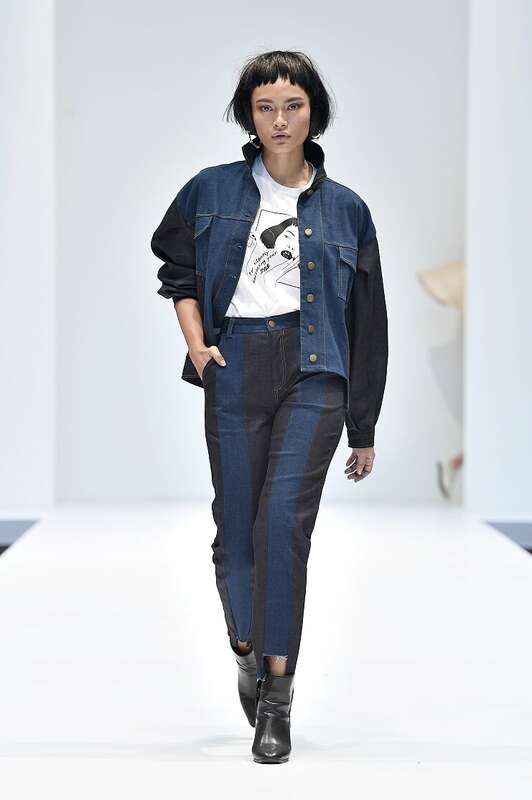 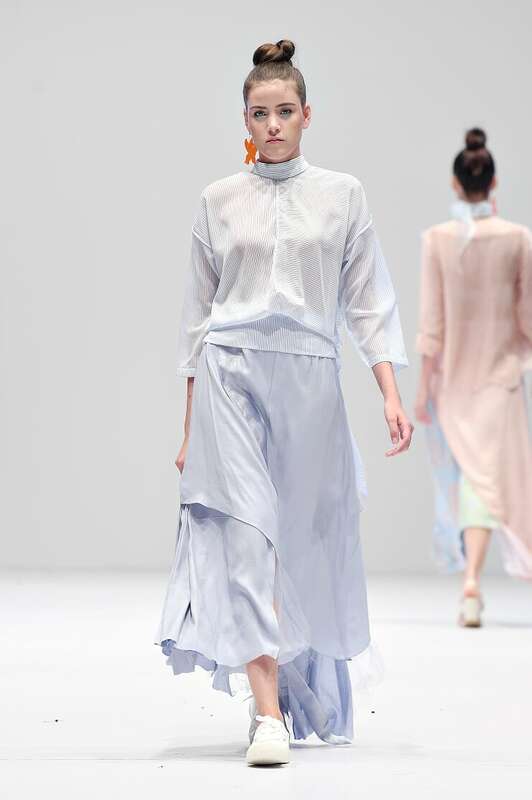 The collection featured utilitarian jumpsuits, flowy skirts dresses, shirts, jackets and one ‘Don’t Membawang’ (translated: don’t gossip) statement tee. 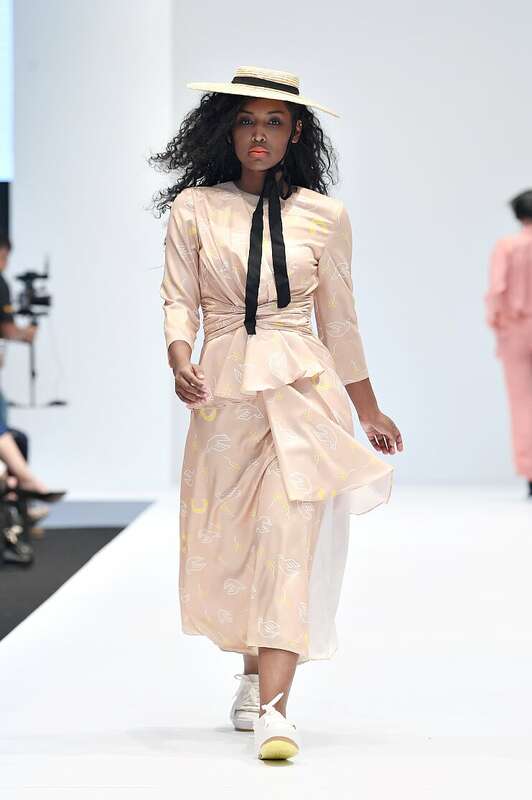 What we loved most about the show was the model cast, comprising women of various shapes, sizes, races, ages and skin types. 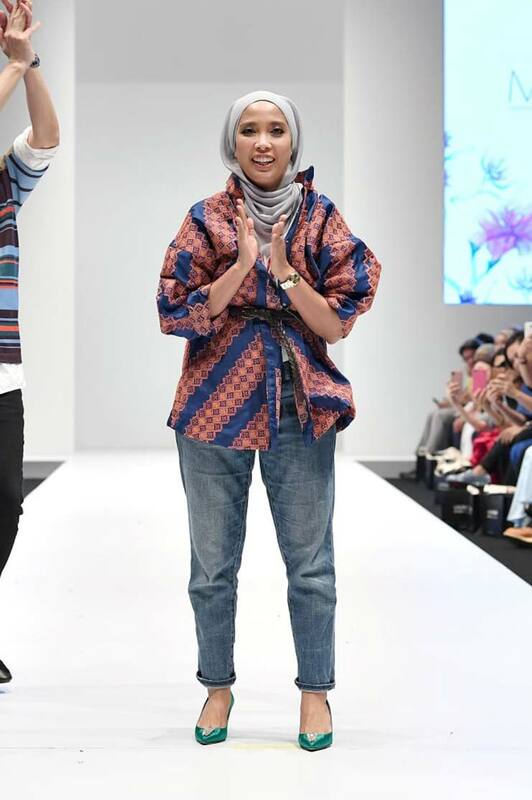 Kudos to Min Luna on sending a compelling message of diversity and inclusivity with her first show! 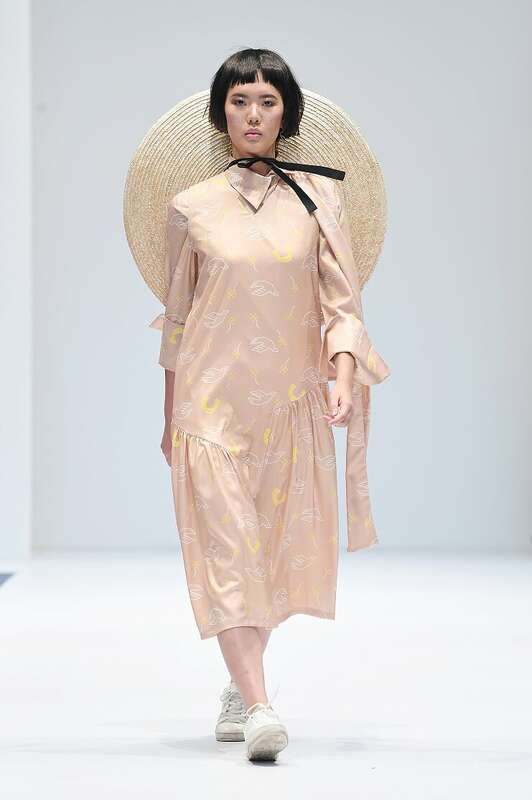 No stranger to KLFW and our homegrown fashion industry, Alia Bastamam presented two Resort 2018 collections under her eponymous label and its sister brand, Alia B. Commencing with the latter, the collection comprised a series of sensual looks combining vibrant striped pieces with monochromatic, earthy and neutral designs. 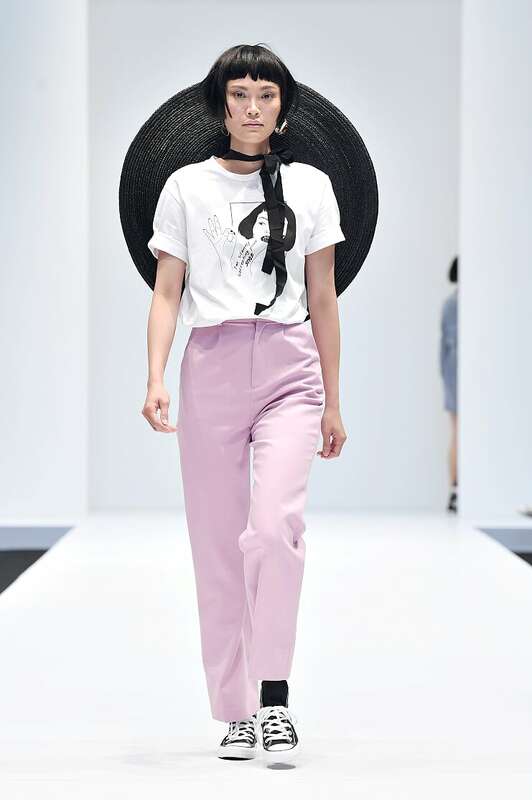 There were also a few statement tees and sweaters aimed at increasing breast cancer awareness.  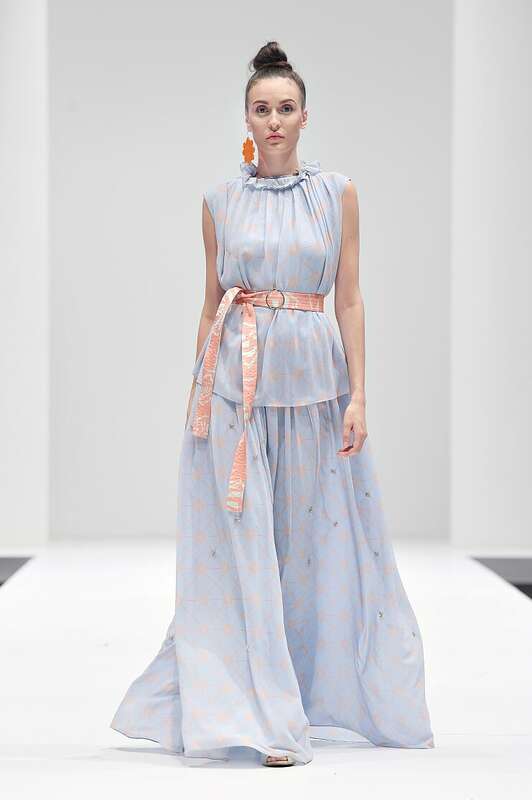 The Alia Bastamam collection offered even softer, looser silhouettes shaped by silk and chiffon fabrics that ruched at the sides and corners. 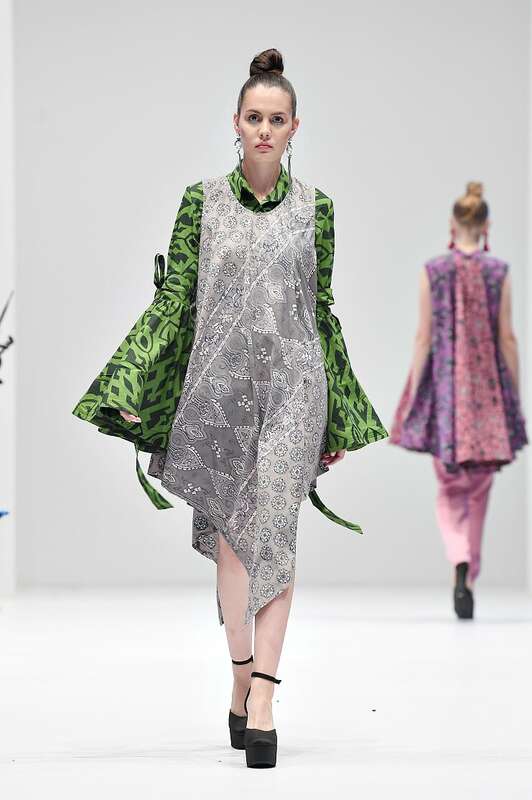 Further highlighting the vacation-ready garments were abstract prints, tiny beads, metallic silver patterns. 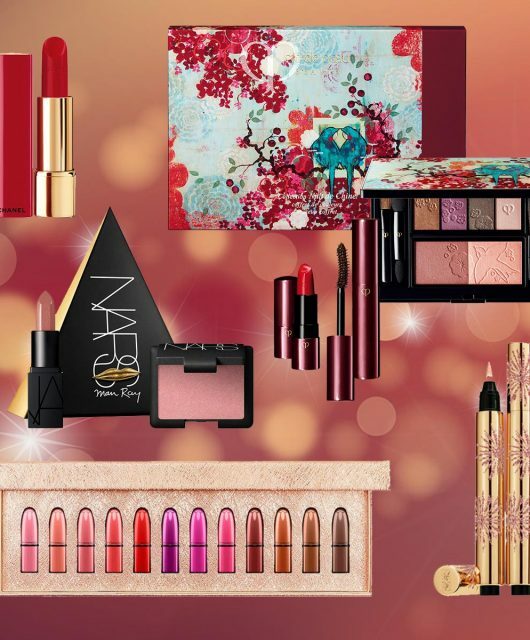 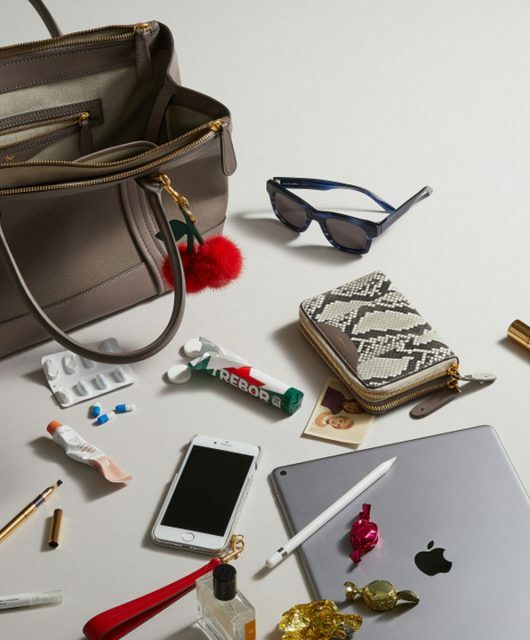 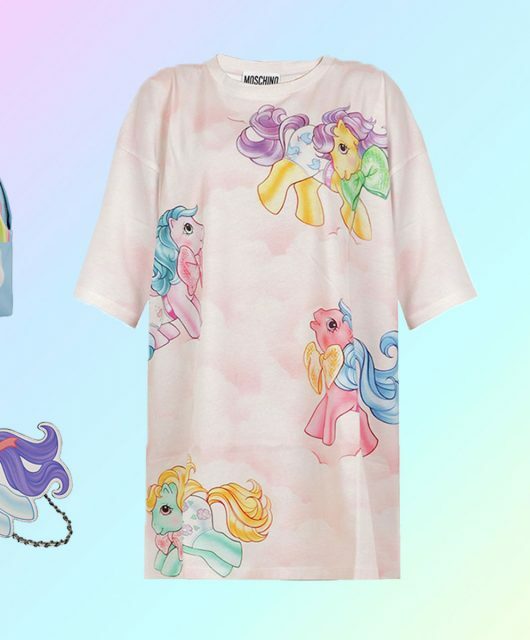 We know where to shop our holiday wardrobe. 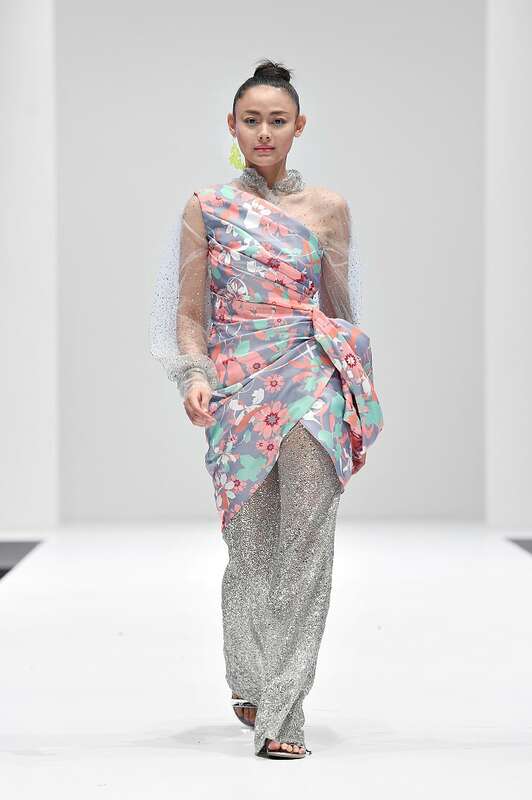 Faizul Noorizan with one of the models wearing his designs. 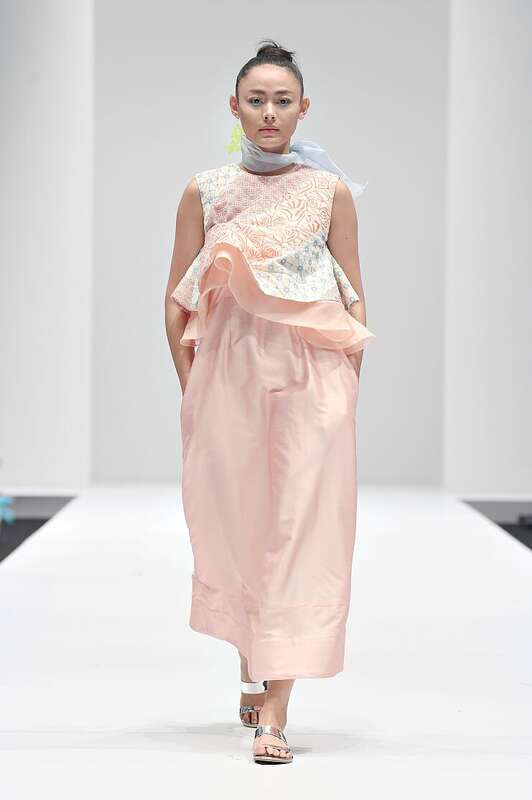 Hafiz Drahman with one of the models wearing his designs. 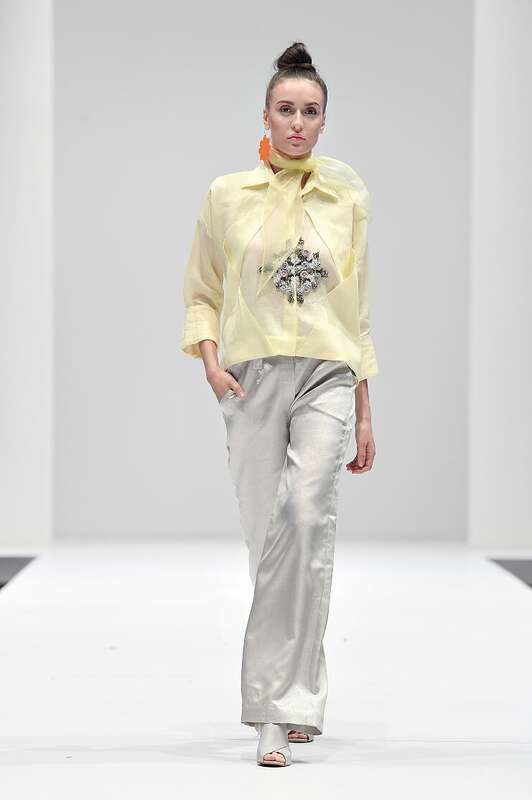 Ridzuan Alias with one of the models wearing his collection. 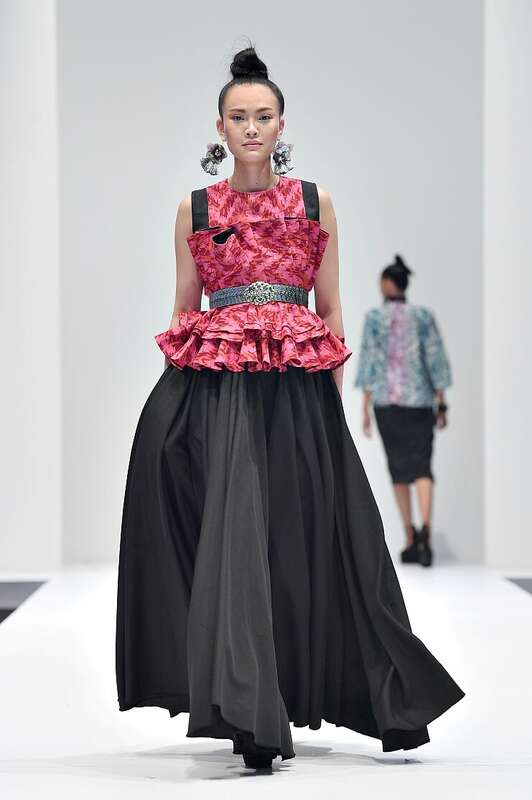 Not to be sidelined is the Fashion Forward Batik Kelantan show. 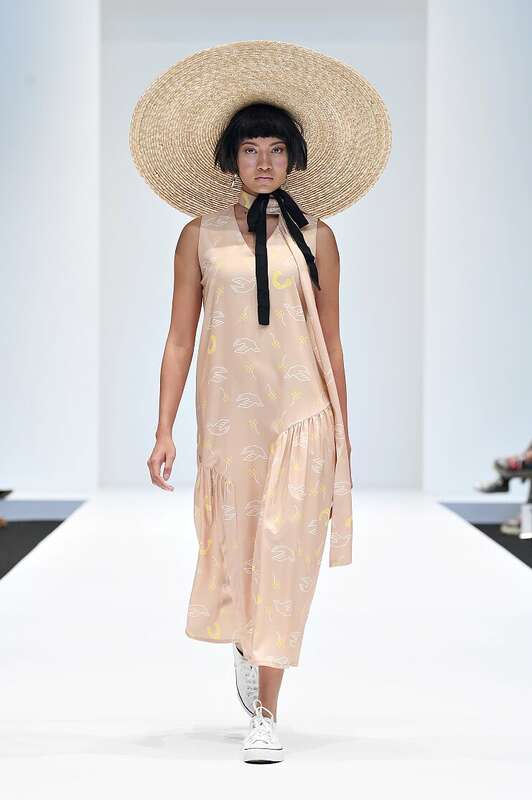 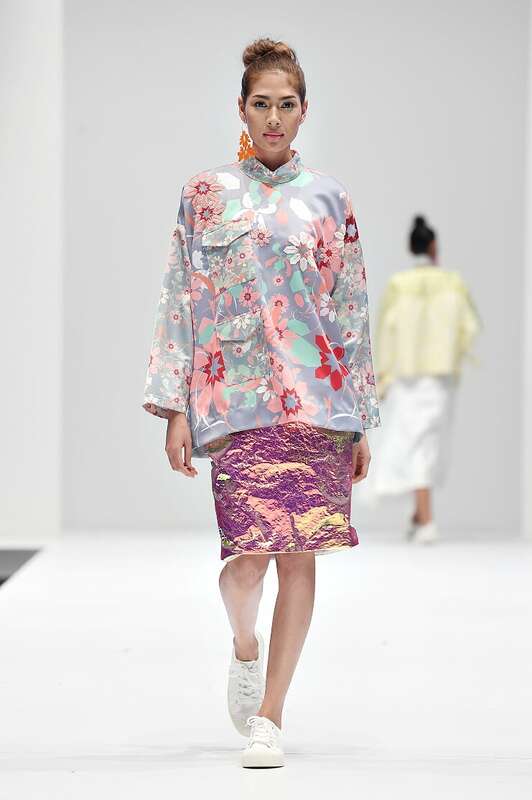 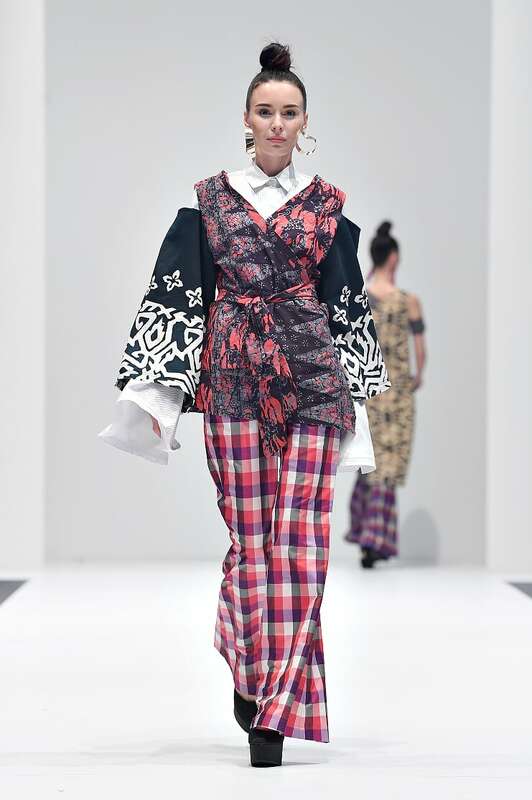 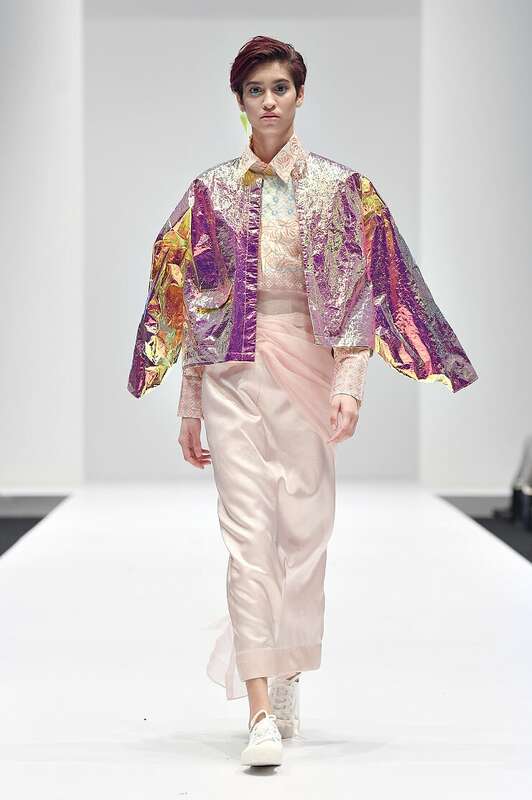 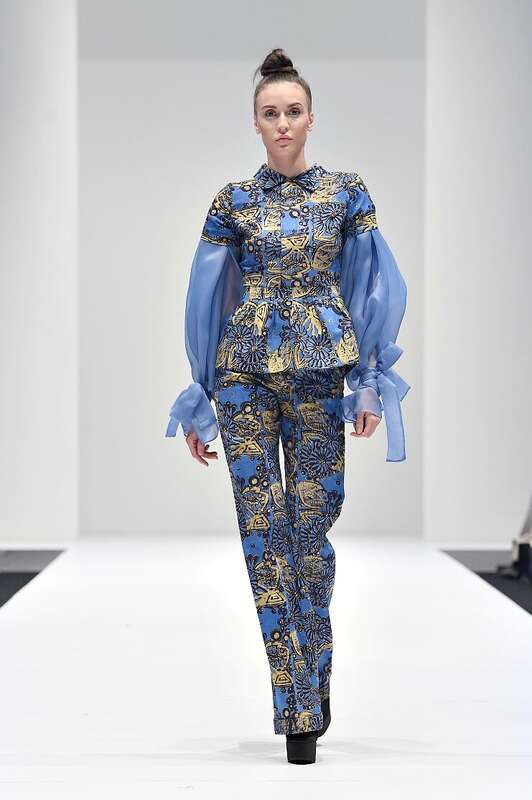 As part of the Ministry of Tourism’s initiative to promote the use and appreciation of our local batik, three designers were appointed to showcase their modern reinterpretations of the traditional art at KLFW. 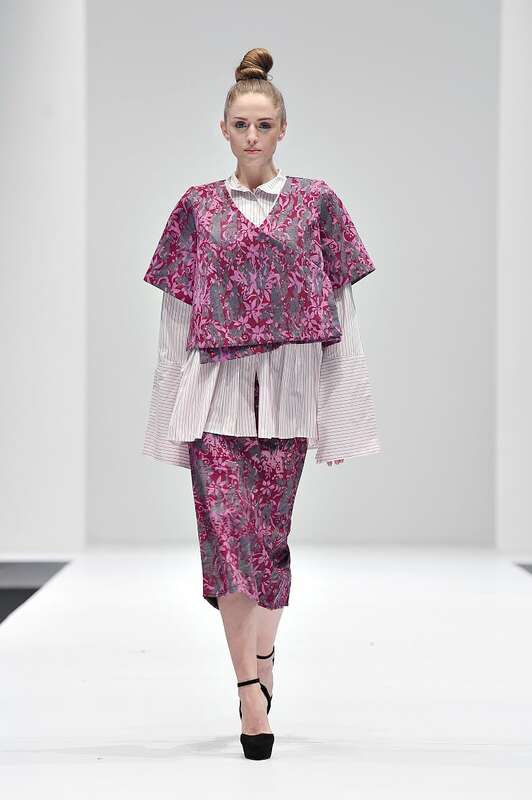 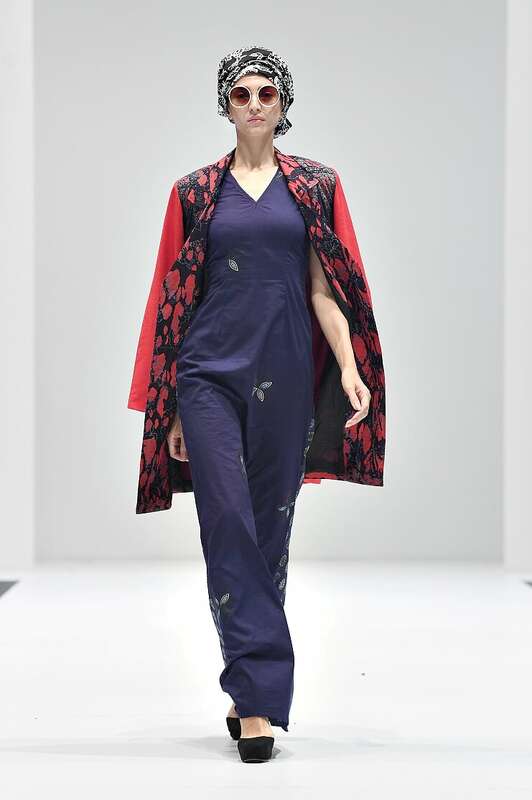 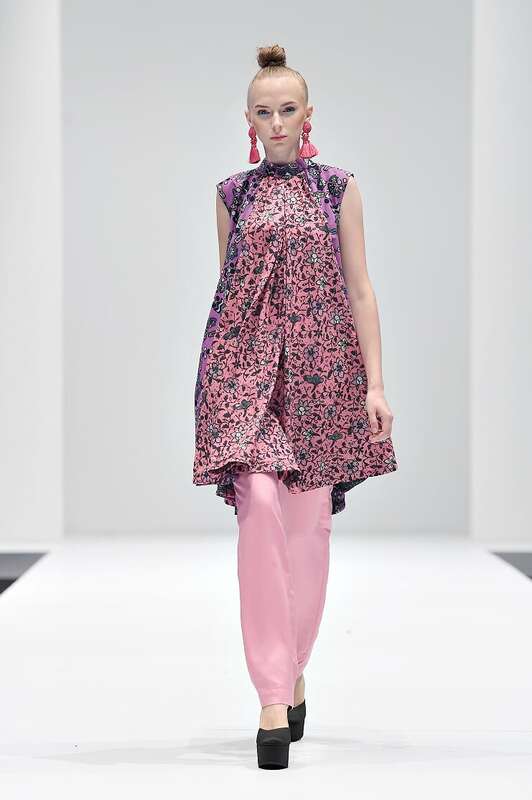 Faizul Noorizan’s take on the challenge brought forth elaborate, batik-on-batik motifs in unique shades of magenta, teal and berry. 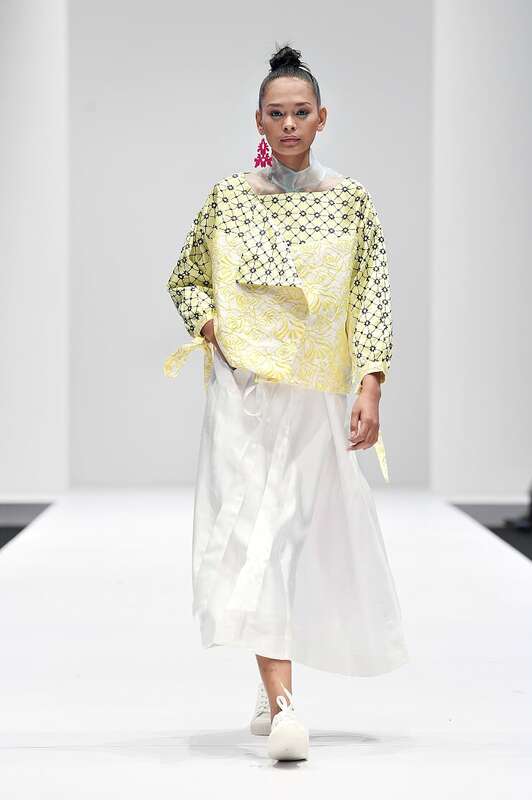 Hafiz Drahman offered a mix of intricate and uncovoluted batik patterns printed on cold shoulder dresses, tunics matched with checkered sarongs and modestwear. 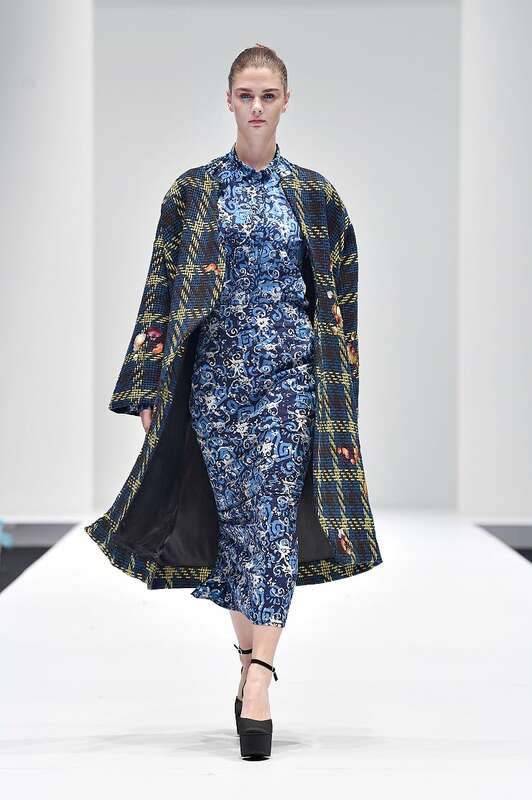 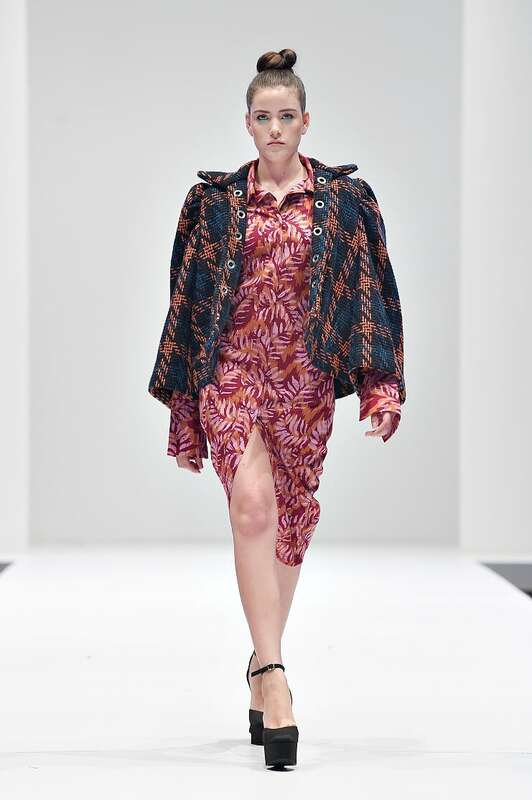 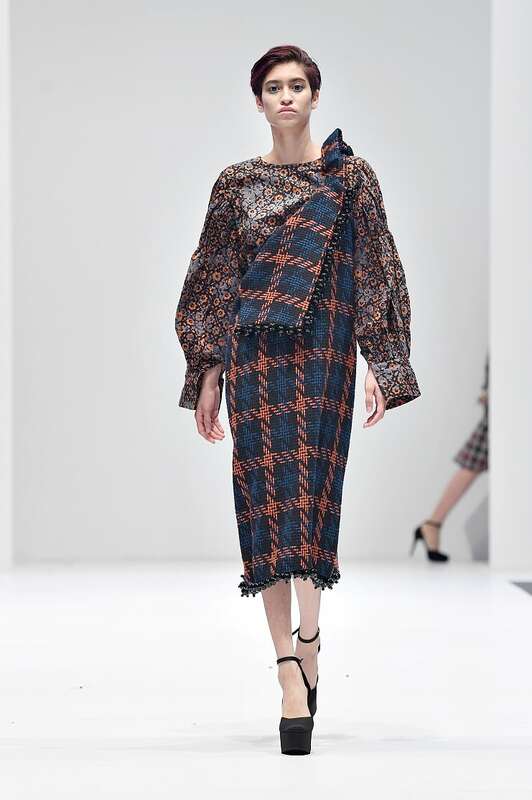 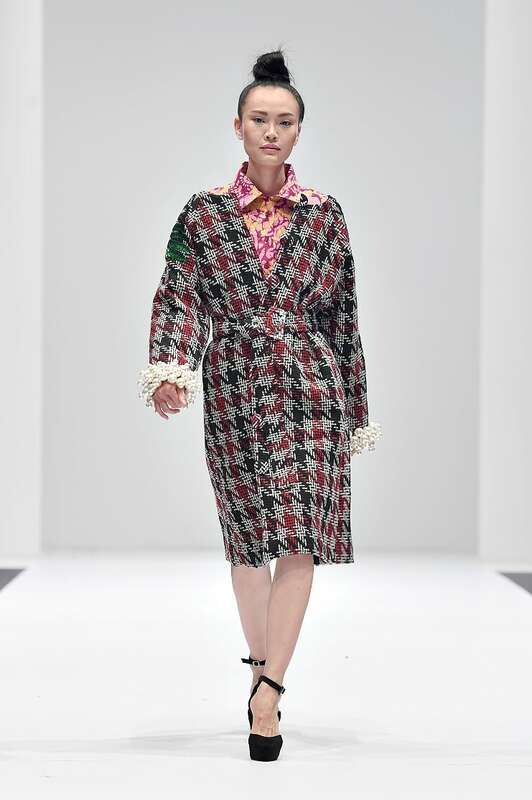 Also preferring a mishmash of prints and fabrics, Ridzuan Alias pieced together looks such as a contemporary tweed coat and batik dress; a fur jacket, lace top and batik skirt; and a batik kimono-style blouse layered over a striped shirt with a matching batik skirt. 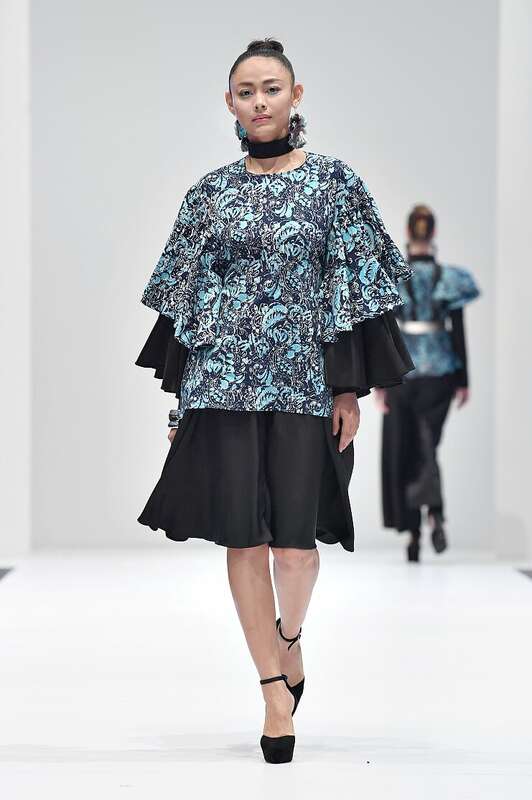 Celebrating their 10th anniversary this year, Mimpikita has upped their game to create a collection of our dreams. 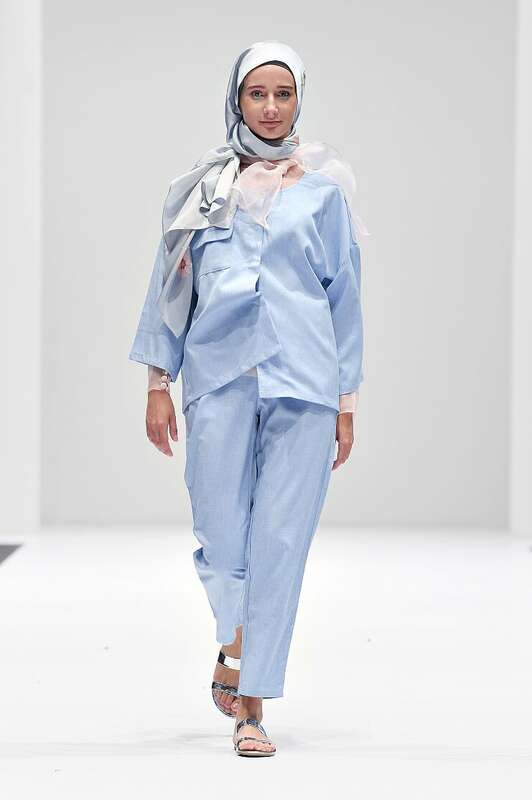 Founder and designer Nurul Zulkifli said the collection was reflective of her emotions throughout the last 10 years – which most certainly must have been a whirlwind of sentiments, given the mixed elements we picked up. 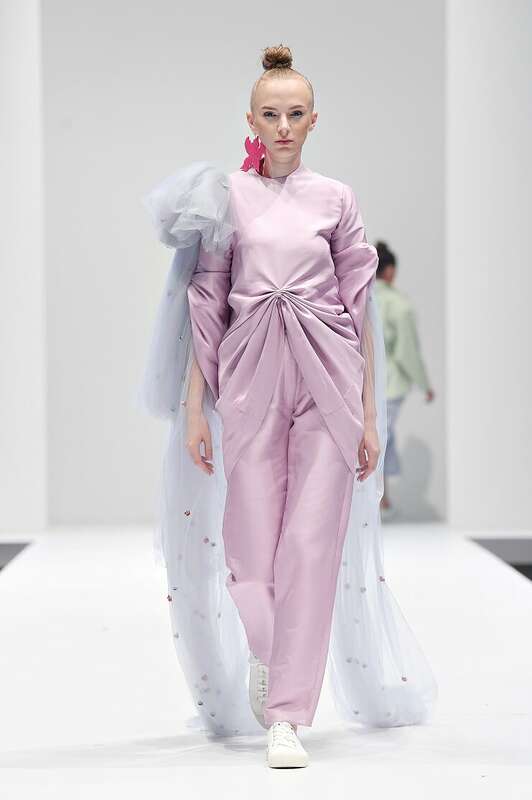 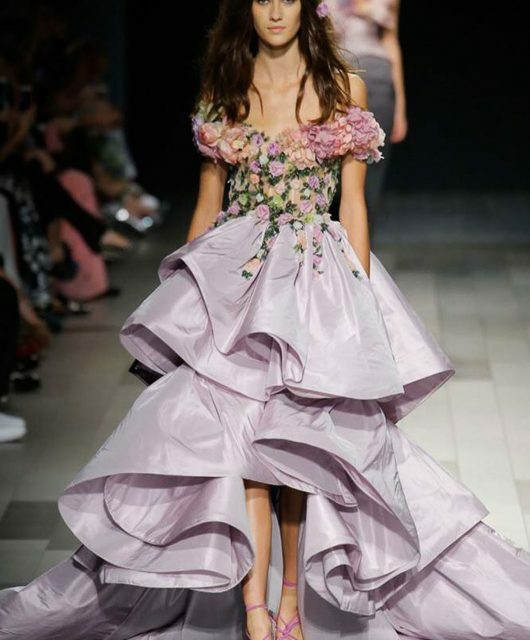 On the one hand, there were minimalistic, pastel outfits that gradually gained a hint of ruffle here or stirs of print and house motifs there. 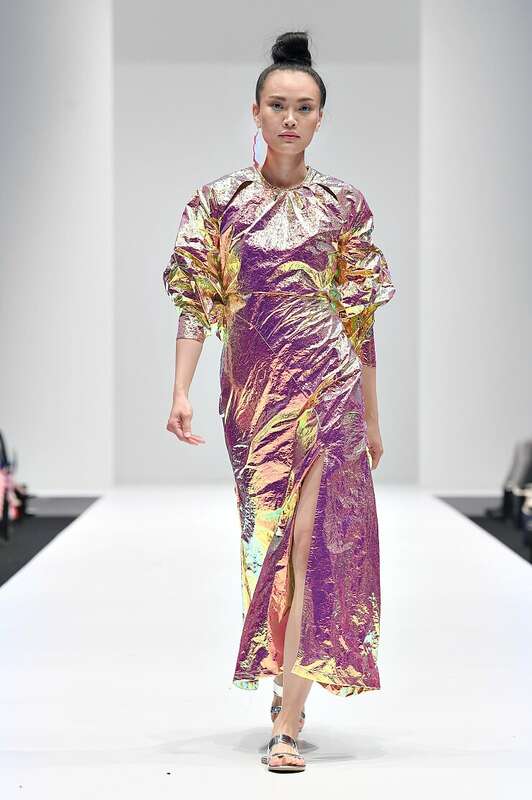 In stark contrast, there were extravagant tops that fold and twist in ways that beg closer attention; layered dresses with juxtaposing prints and materials; as well as holographic and iridescent textiles. 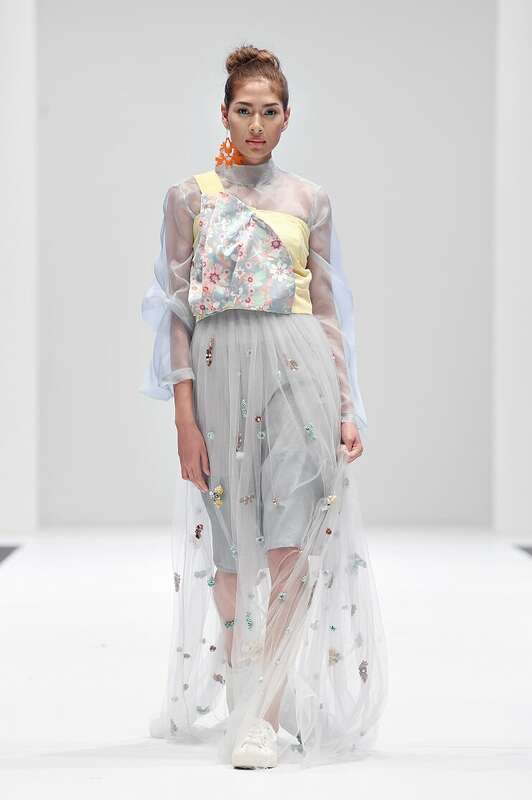 We daresay it was one of the most, if not the most multi-faceted collection of day one. 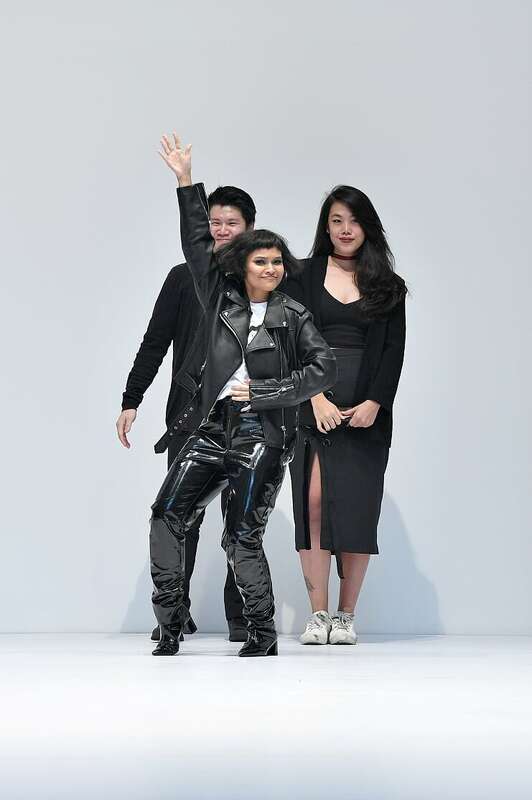 See more live updates from the KLFW 2018 runway shows on our Instagram story highlights. 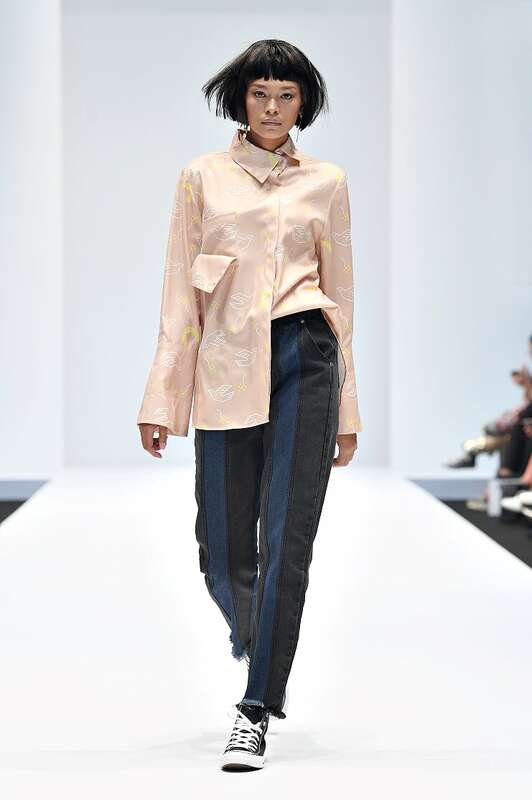 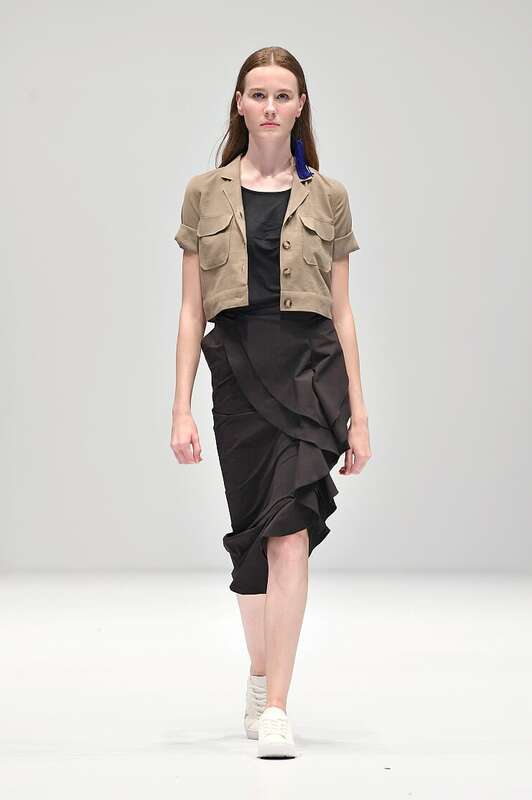 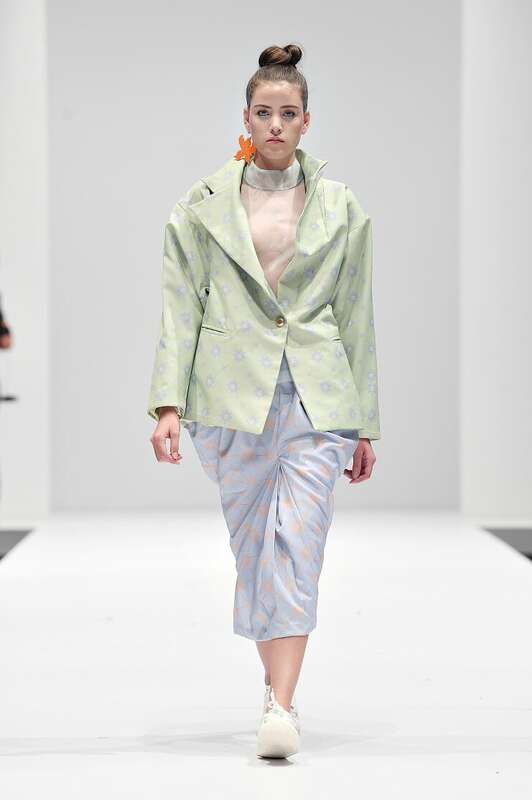 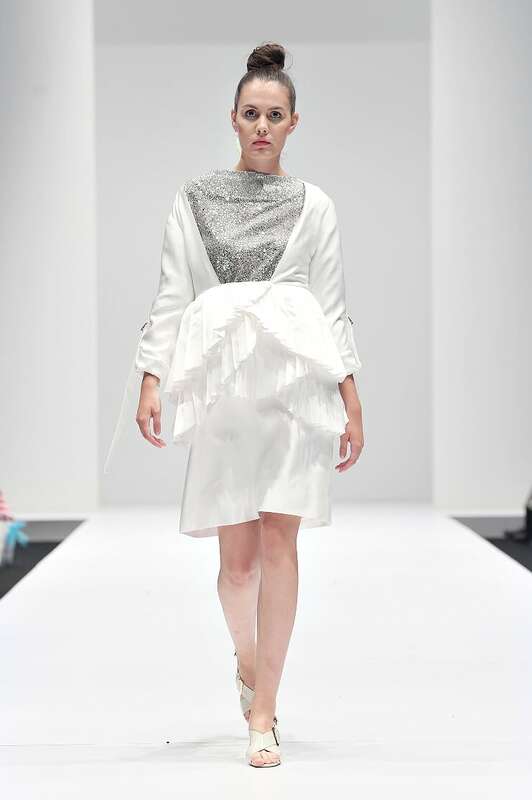 For more information on the designers mentioned, log on to KLFW’s official website here.